Do you know what that is? 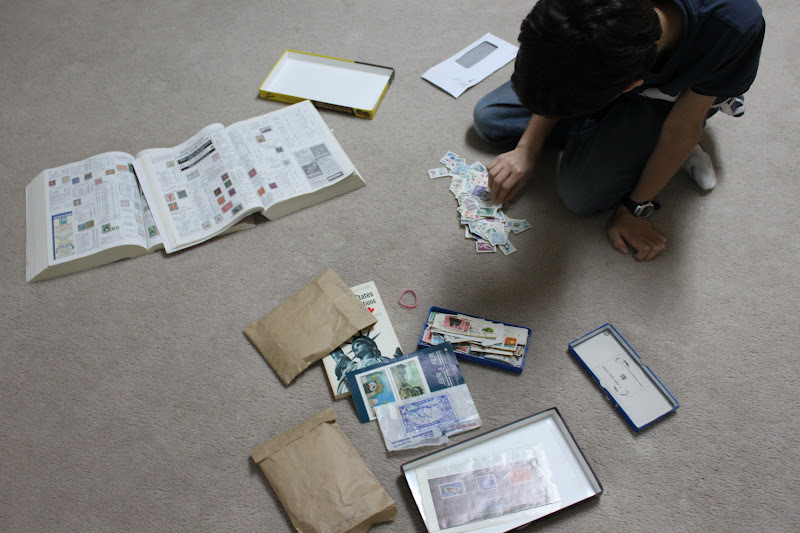 A Philatelist? Neither did I. Until, that is, my brother became one. 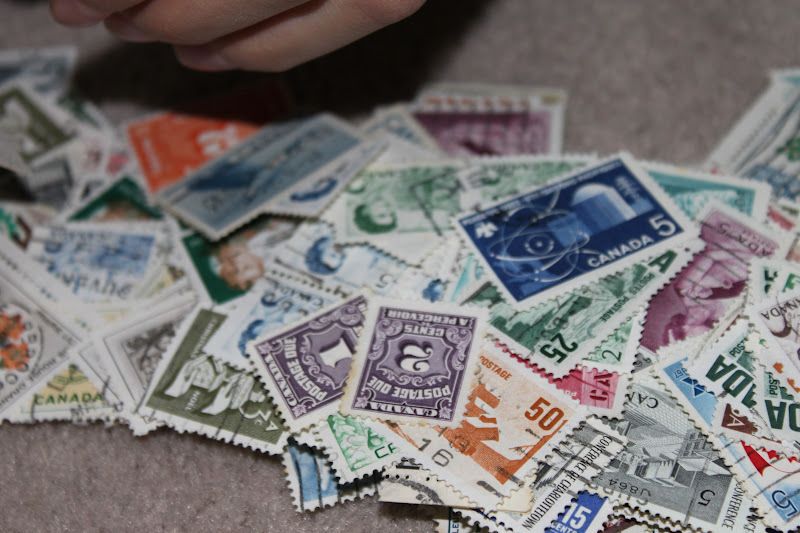 A philatelist is, in short, a stamp collector. 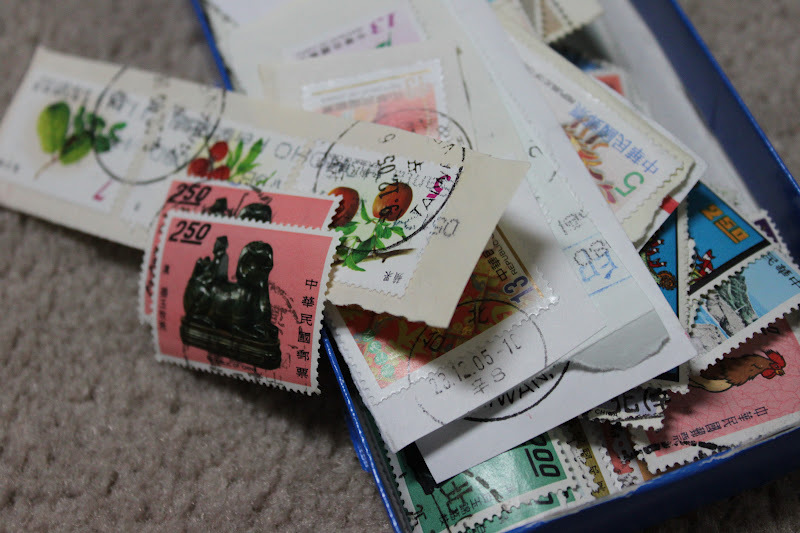 A couple of friends have found out that he collects stamps and have been so so sweet to send him a few they have collected or simply cut out from letters they have kept. Every day, when dad comes back from checking the mail box, the Kid jumps up and down full of hope. 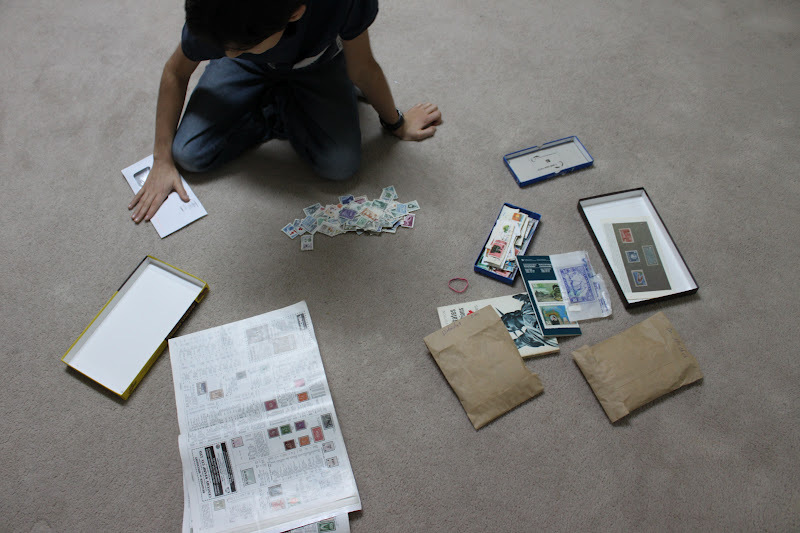 Usually, he gets disappointed, but every once in a while a stamped letter arrives to make his day. Anywho, back to library. Ever since he’s taken up this new hobby, he has been bringing home these monstrous heavy-weight-champion of books, stamp catalogues. Two or three of them at a time. If you caught a glimpse of him leaving the library, you’d see three fat catalogues walking around on two tall, skinny legs. That Monday, while he was looking through the stamp catalogues at the library, he noticed an elderly man looking through a few as well. Now, in our family, we defy the “Homeschoolers are shy and antisocial” rule that everybody talks about, but nobody has witnessed. The Kid and I were also, never drilled with “Don’t talk to strangers”. Sure, we were taught to not be reckless and hand out our address or credit card number, “don’t talk to strangers” was talked over, but not pounded into our heads. As a result, Victor approached the man and asked him, “Are you a philatelist?” And there begun a conversation. Turns out, Peter, was indeed a philatelist but had recently stopped collecting. He had several stamps at home, and if it were all right with the Kid’s parents, he wouldn’t mind giving him a few. He left his phone number at the front desk, and left. The Kid’s eyes were grinning as he told me all about it as soon as I finished up RB. I was skeptical. What was he up to now? As soon as we got in the car to go home, he made mom go into the library to get Peter’s phone number. He was so excited. Just a little excited. Can’t you tell? 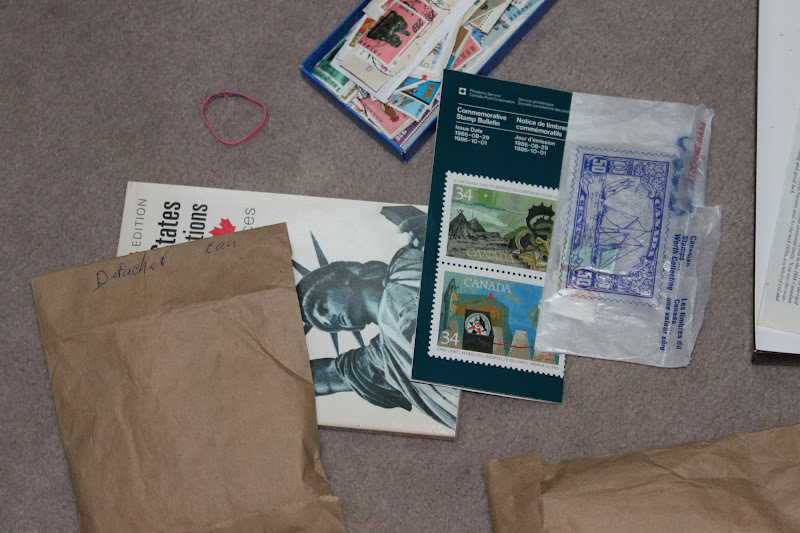 Our living room, by the way, is still run over by stamps. 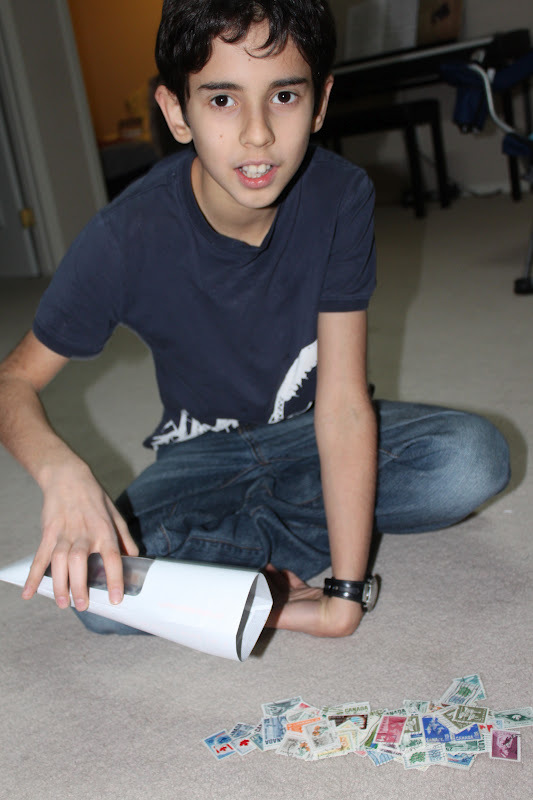 No matter he has a great big room to fill up with stamps. They look better in the living room, see. That way it teaches the rest of us to maneuver around little pieces of paper that must not be stepped on. No. I did not. Did you? Previous Article Pandemonium & The Notorious SAT. 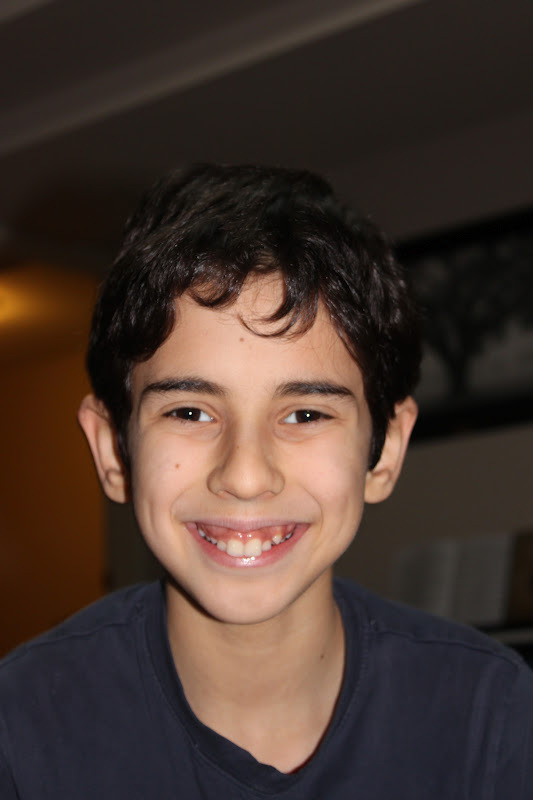 Yeah, Victor's in fifth grade now … I wonder how long it'll be 'til I can make a mural ….. Thank you. And I think so too! They'd a really nice touch to a bare wall. Just delightful. Love the close-up shot of the stamps. They would make an amazing mural. I'll say. The stamps are everywhere! Hehe. Thanks Judy. He's really enjoying it. What a cool hobby to get into!! It looks like he has quite a collection already. Very cool hobby – – and I like the name!